We all use Microsoft Office products like MS Word, Excel Tricks and PowerPoint on almost a daily basis, and yet we struggle to do few tasks while figuring where everything is and how each of these things works. Did you know that we use only about 10% of each application’s total capabilities? Especially when you are on a deadline, the last thing you want to do is waste time doing tedious things on Office which can easily be done using a Microsoft office tips or possibly a ‘hack’. Knowing the ins and outs of essential programs like Word and Excel can come to be major lifesavers during your college years and even after it. Even though we’ve been using these applications as long as we can remember, many of their most useful features don’t come across as very visible. These useful Microsoft office tips are generally hidden away levels deep in the menu and sometimes right in plain sight. It is practically impossible to know about them if you don’t know what to look for. Knowing Microsoft’s terminology is different and it is essential to know the correct words in order to search for the needed shortcut. Is it called a line? Is it called a border? It’s called a ribbon. The difference between a Microsoft Office novice and an expert is that the expert actually knows all these hidden nitty critters about using all of these applications. Now you must be wondering how to know about these features and use them efficiently. It is not that difficult. There are quite a number of ways you can do this – you can either take your own sweet time while you try to discover these on your own, after all, it is said that necessity is the mother of invention – except you don’t have to invent anything, thankfully! Or, you can leave the discovery to the maestros and feed off their knowledge. Top Microsoft office tips for different MS applications are listed below to make your life easier. When you enter a space and hit the enter button, you don’t see any symbols but they are actually there. There are all these symbols all over your Word document that you don’t even know about. If you want to see these symbols that I am talking about, go to File, Open Options, and then Display. Select Always Show These Formatting Marks on the Screen. You can also view them in the Draft Mode. To activate Draft Mode, you can go to the View menu and set it to Draft Mode. Now everyone can edit a document at the same time! Whether it is in MS Word, MS PowerPoint or MS Excel. You can see them make the changes as they are making them. But these features are only available on the Web version of these applications. Whether you are working from a mobile, a tablet or a computer, offline or online, you can now work on the go while coordinating in your document with your colleagues or friends. For example, if you are having a meeting in the boardroom but one of your key members is on holiday. This teammate is able to make revisions to the ongoing project in real time from wherever he is. But what happens if he is offline? No problem. He can make the changes and they will register when he comes online. Make three quick clicks anywhere in the paragraph to select it completely. Alternately, you can also Ctrl + Click to select one sentence. Click anywhere in a sentence to select it. If you want to delete a preceding word, hold down the Ctrl key and press backspace. Type =rand(8,10) and press Enter to automatically generate random text to test page formatting, fonts, etc. To move your cursor to the last saved location the document, press Shift +F5. To increase the font of your text, select the text and press Ctrl + Shift key + > and the font size will increase. Use the same tip for decreasing by pressing down Ctrl + Shift key + <. To create a quick table in your Word document, type a + sign and press down the Tab key. Repeat this again and again for the number of cells you want in your table. And press Enter. The table will automatically appear. To enter a trademark symbol in MS Word, press down Alt + Ctrl keys and then hold T. Or, you can go to Insert menu, select Symbol from the Dropdown menu. Click on More Symbols. A symbol box will appear. Look for the trademark symbol and double-click it. Using this drop-down menu, you can insert a lot of other symbols as well too. 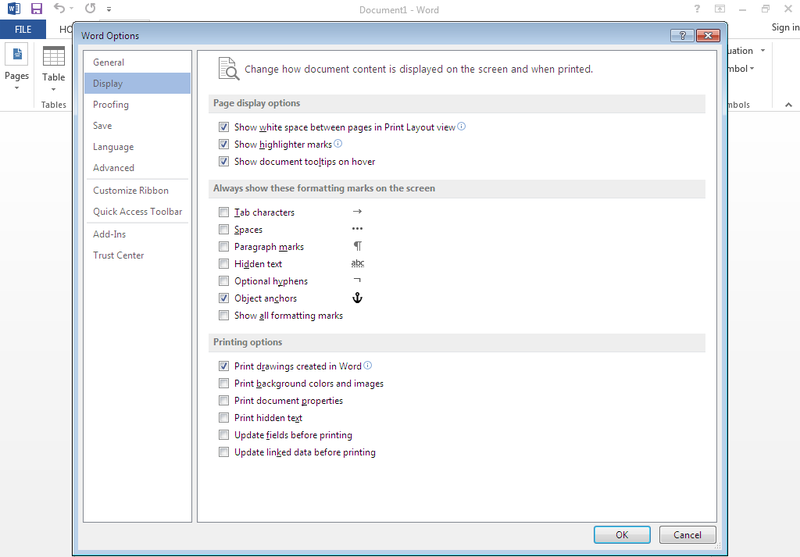 If you want to change the default font in MS Word, it is easy. Click on the small arrow in the bottom right corner on the font window on top of your document. A Font option box should pop up. Make the selection of your favourite default font setting and click on Default given in the bottom left corner. A confirmation box will ask if you want to apply these changes. Click Yes. Microsoft Office tips for publishing old or non-web data on the Internet by using MS Access. Though MS Access may not be as widely used as MS Word or MS Excel, it is still one of the most powerful programs in the MS Office Suite. If you want to publish a standard Access Database instead of creating a new one, here’s what you will need to do. Before publishing the database, run the Compatibility Checker. This will let you know if your database is compatible or not. If not, it will also tell you what you need to do to make your application compatible. This checker will give you all the directions that you might need to make your database online. Surprised? Don’t be. MS PowerPoint has been a lifesaver in all the presentations, all around the world. But wondering if you could tweak or play around a bit with the custom templates to make them suit your needs a bit more? Now you can. If the already there templates aren’t working for you, just make your own. 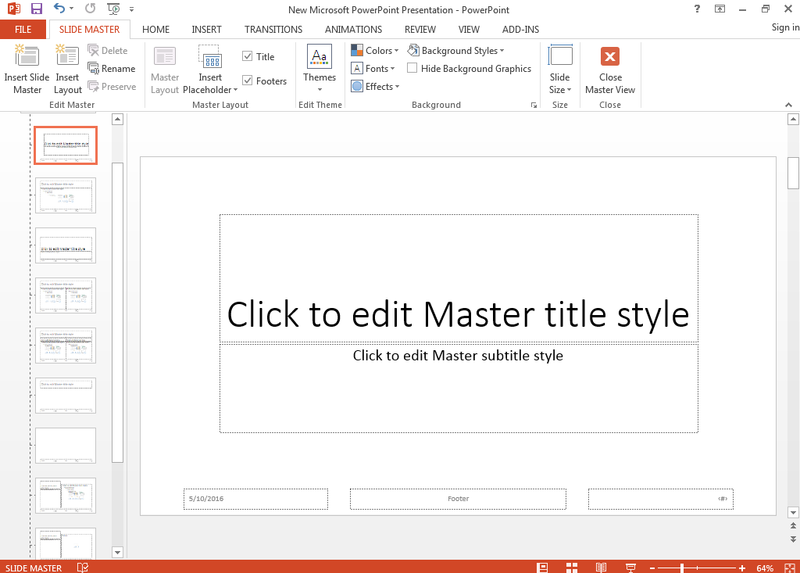 PowerPoint has a master editor which enables you to create a custom slide which you can then use and save as a template. To do this, follow the following steps. On the right-hand side, you will see Edit Master. Click on it, followed by Slide Master. Now you can edit the templates to your liking. Edit them as you see fit. You can do anything you want to in this. Click on Close Master. This will change all future and ongoing slides to the slide you just created. This is actually an amazing way to add a personal touch to your presentation without taking the trouble to actually do it for every slide. Microsoft Office tips to make you an MS Excel Mastermind. Did you know there is another way to select all the data other than the plain old Ctrl + A? You can click the corner button in the top left corner of the spreadsheet and all your data will be selected instantly. You can also open multiple Excel files together rather than opening them one by one. Select all the files and press Enter. All these files will now open simultaneously. Annoyed with all the switching between multiple Excel files? Working on a wrong sheet can definitely ruin the entire project. To shift seamlessly, you can press Ctrl + Tab to shift between these MS Excel sheets freely. Were you aware that you could create a new shortcut menu in MS Excel? Generally, there are only three shortcuts in the topmost menu, namely Save, Undo and Typing/Repeat Typing. But if you want more shortcuts like Cut Copy and Paste, you can add those too by following simple steps. All you need to do is go to File, Options and Open the Quick Access Toolbar. From there, you can add Cut and Copy from the left column to the right one. Click on Save. Now you will see two more shortcuts in the Shortcut Menu. You can also add a diagonal line to a cell. For example, while creating a list of addresses, you may need a diagonal link in the first cell to differentiate between attributes of rows and columns. How do you do that? You can follow easy steps and go to Home – Font – Borders. However, if you click on more borders, you will find the diagonal line. Click on it and save it. You can now use it. Sometimes there is a need to add more than one new row or column, but it really wastes a lot of time if you go about doing so one by one. The best way to add multiple rows or columns is to drag and select X number of rows of columns. Right-click the number of columns or rows that you need and choose Insert from the drop-down menu that will appear. New rows will be inserted. Do the same for columns. If you want to move a single column of figures in a spreadsheet, the quickest way to do so is to select it and move the cursor to the border. And after it turns to a crossed arrow icon, drag the same to move the column freely. But what if you want to copy the said data? To do so, you can press the Ctrl button before you drag your cursor. By doing this, the new column which will appear will copy all the selected data. Do you have a set of words that you need to type in again and again? You can speed up this by using autocorrect to its fullest. For example, if you need to type in a certain set of names over and over again, you can add abbreviations in place of them, which autocorrect will transform to full words. For example, Charlie Brown. You can just type in CB and the autocorrect will change it to Charlie Brown. To do this, go to File > Options > Proofing and then go to Autocorrect Options and type in Replace text with the correct text. So easy, and so time-saving! Do you fumble with complicated formulations and wish there was an easier way? Don’t worry. Complicated formulas are generally unnecessary as long as you know how and when to use &. You can use this symbol to compose text freely. Now, if I have three columns with different texts, but what if I want them to compose to one value in a single cell? First, click on the cell where your desired result is to be. Use the formulation with & For example, A2, B2, C2, will all be composed together in say, F2. You can hide cellular data very thoroughly. Almost all of us know how to hide data from one cell. The best way to hide a large amount of data is to use the Format Cells function. To do this, all you need to do is select the area, go to Home > Font > Open Format Cells > Number Tab > Custom > Type ;;; and click OK. All the values and data in that area will become invisible or hidden. These can be only in the preview area next to the Function button.